Welcome to the most complete, comprehensive and flexible HTML website template, for any business or personal website. With more than 250 pre-made, ready to use layouts, this is the perfect HTML solution for a huge variety of markets and business types. Simply choose the theme and grid layout that suits your needs, customize effects, headers, sliders and sidebars, choose from tons of useful elements (columns, blockquotes, buttons, and many more! ), and use as many of our pre-configured pages as you like. Every template is fully responsive and retina ready, so your creation is guaranteed to look great and work perfectly on any device. Whatever your industry – from science and medical to beauty and cosmetics, law or marketing to architecture and electrics – it’s never been easier to create a professional website that does your brand justice. Our fully responsive and ready to use layouts include a wide range of templates that are perfect for anything from florists to finance, design and décor to digital and software, and many, many more! Choose from multiple grid layouts and pre-configured pages, such as About Us, How It Works, Press and Careers. For professional, comprehensive business websites that make an impact. Create a blog that is as unique as you are! Our vast selection of pre-made layouts make it easier than ever to find and customize the perfect theme; including travel, journalism, science, entertainment, sport, food, fashion, culture, politics, school/university, and loads more! With multiple grids and elements to choose from, you can personalize your page layout and sidebar in seconds, and add pre-configured pages such as About Us and social media links. Whether you’re an artist, typographer, digital or creative agency, web designer, interior designer, storyteller, tattoo artist, musician or photographer, you want to show off your work in style. Our fully responsive and retina ready layouts are perfect for showcasing your creative talent; including smooth scrolling and parallax effect. Our pre-configured pages, such as Contact, Our Team, Gallery and social media icons make it even easier for you to tell your story and get noticed. Our entertainment layouts range from fitness and games, to leisure and music, to travel and safari. Choose the template that suits you – whether it’s bold and extreme, or calm and leisurely – and fully customize your page with elements such as headers, sidebars, columns, maps, blockquotes and buttons. Bring entertainment to life with 22 different scroll events, and a smooth and reliable parallax effect. BeTheme includes multiple different layouts that have been specifically designed as stunning portfolios. These HTML templates are the perfect choice for painters, photographers, carvers, gardeners, designers, and creatives of all shapes and sizes. Your portfolio is personal to you, so it’s only right that you should have complete control over layout (boxed or full width), header and sidebar configuration, scrolling effects, and every other element on the page. BeTheme even includes a Revolution Slider ($14 value), and a pre-configured Gallery page. Choose from multiple grid layouts and decide how best to showcase your products. With a Revolution Slider included, as well as smooth scrolling and customizable scroll events, you can guide visitors through your online store seamlessly, and show off your products in your own way. Pre-configured pages include an Under Construction page, and fully functional forms. Your shop is fully responsive, so you can be sure that it will look great on mobile devices too! The BeTheme website template has a whole collection of built-in slider effects and page sections, using the premium Revolution Slider, so that you can really make your website stand out from the crowd. From smooth carousels, to full-width layouts, dynamic parallax and integrated video or social stream – you decide how your visitors interact with your site, and how it speaks to them. Perfect for eye-catching, unforgettable websites, from fine dining restaurants to action-packed gyms, creative design to travel and adventure, and everything in between. More features are constantly added to keep BeTheme template as the most flexible and powerful responsive website HTML template ever! Note: The WordPress version is available here. Please note: Images used in our demo site are not included in the download. If you need help with your template after purchase please start a post on our support forum. 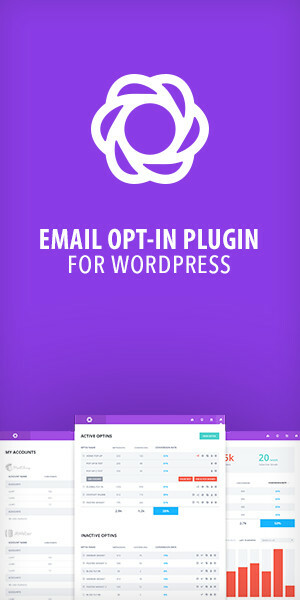 You will need your purchase code so we can verfiy your purchase, get your purchase code from your downloads tab while logged into your ThemeForest account. Added: layouts "animal shelter", "elearning"
Added: layouts "dentist 2", "restaurant 2"
Added: layouts "furniture 2", "creative 2"
Added: layouts "wine 2", "detailing"
Added: layouts "musician", "corporation", "shoes"
Added: layouts "developer 2", "fireplace", "xmas 2"
Added: layouts "biolab", "herbal", "snapshot", "wallet", "surveyor", "couturier", "training"
Added: layouts "pizza 2", "hifi"
Added: layouts "lawyer 2", "ebook"
Added: layouts "barber 2", "mechanic 2", "good food"
Added: layouts "minimal", "agency 2"
Added: layouts "seo 2", "medic 2", "smarthome", "underwater"
Added: layouts "architect 2", "car", "makeup", "wedding 2"
Added: layouts "print", "perfume", "movie", "eco"
Added: layouts "bistro", "ngo", "casino", "pharmacy"
Added:  layouts "hr", "pets", "music", "vpn"
Fixed: missing closing head tag on "steak"
Added:  layouts "tiles", "freelancer", "lifestyle", "app2", "kebab", "holding"
Added: layouts "tea", "toy", "charity 2", "carpenter"
Fixed: retina logo for "simple"
Added: layouts "sushi", "accountant", "mining", "retouch"
Added: layouts "fitness", "painter", "beauty2", "design2"
Fixed: retina logo on scroll for "university", "sport", "recipes", "factory"
Fixed: retina logo for "estate", "design"
Added: layouts "kindergarten", "ski", "blogger2", "service", "firm", "interior2", "industry", "journey", "science", "carver"
Follow BeantownThemes on ThemeForest, FB, and Twitter for updates!